We’re a locally family owned and operated business established in 1993. We have 35 years extensive experience in the glass industry and in that time have become specialists in glass replacement for domestic, commercial, and industrial glazing. Our tradesman are fully qualified and accredited by the Australian Glass & Glazing Association. 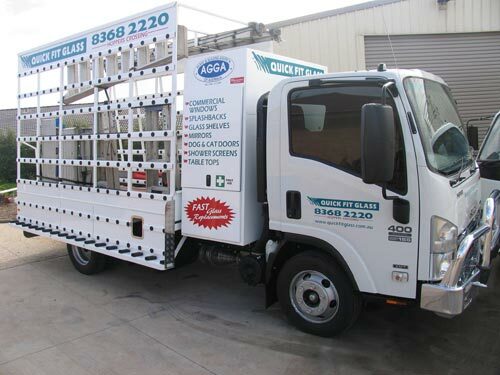 accredited tradesmen providing fast, quality repairs at competitive prices with Australian made products. We come out and measure, provide specific information and knowledge to suit your situation. As specialist glaziers, Quick Fit Glass areas of expertise include kitchen splashbacks, shopfronts, aluminium windows and doors, mirrors, pool fences, double glazing, shower screens, table tops, balustrades and a full glass repair service. Whether you need commercial or residential glazing services, we can help you. Simply call us and a glass professional will visit you promptly. You can expect exceptional and a specialised service every time.